So this was fun today at the tattoo studio! 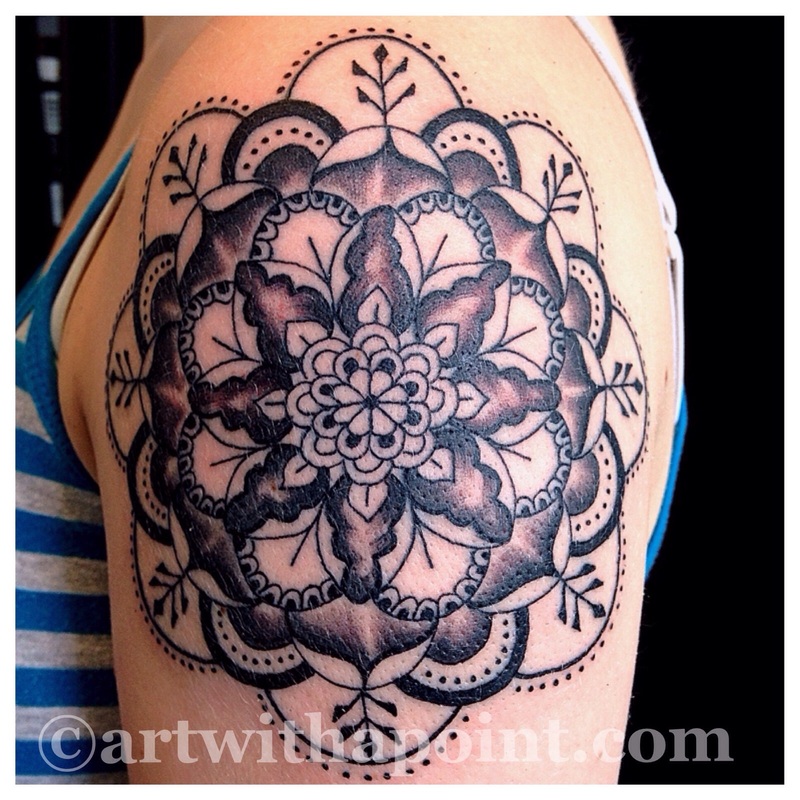 A custom geometric snowflake Mandela – and her first tattoo! The black line work and grey shading really compliment one another to set off the detail in this custom piece.